The following is a personality profile of George R R Martin based on his work. George R R Martin is a bit compulsive, excitable and inner-directed. He is empathetic, he feels what others feel and is compassionate towards them. He is intermittent as well: he has a hard time sticking with difficult tasks for a long period of time. 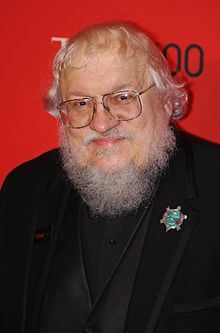 But, George R R Martin is also independent: he has a strong desire to have time to himself.